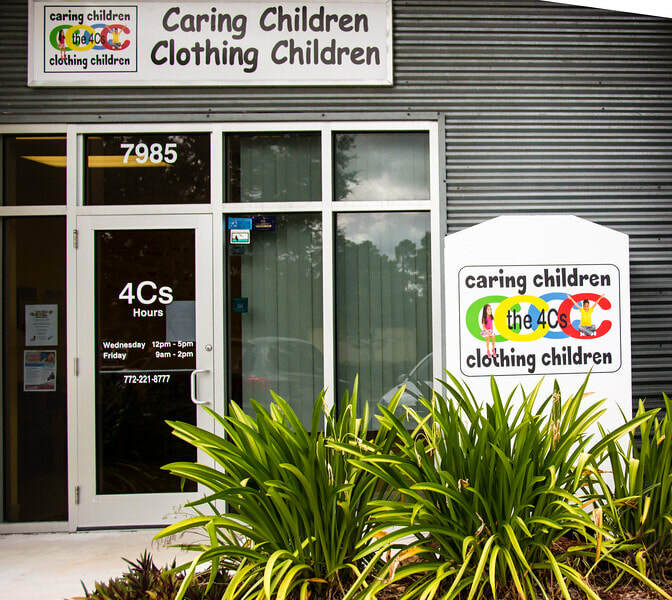 Our mission is to provide top quality, gently used clothing and a h​elping hand towards literacy to underprivileged children in Martin County, Florida, all at no cost. We serve the children in our community to promote and reinforce positive self-image and confidence in our youth. In 2017, we provided 30,000 items of clothing to 3,334 children who visited our store. With your support, our goal is to continue to meet this need for our community and reach the many children who are still in need. Patty Stewart, also a long-time supporter of the literacy program, is recognized by Betty Mulligan, program coordinator. Caring Children Clothing Children volunteers were thanked for their efforts in making the mission of 4Cs possible at a special night of celebration at Monarch Country Club in early April. 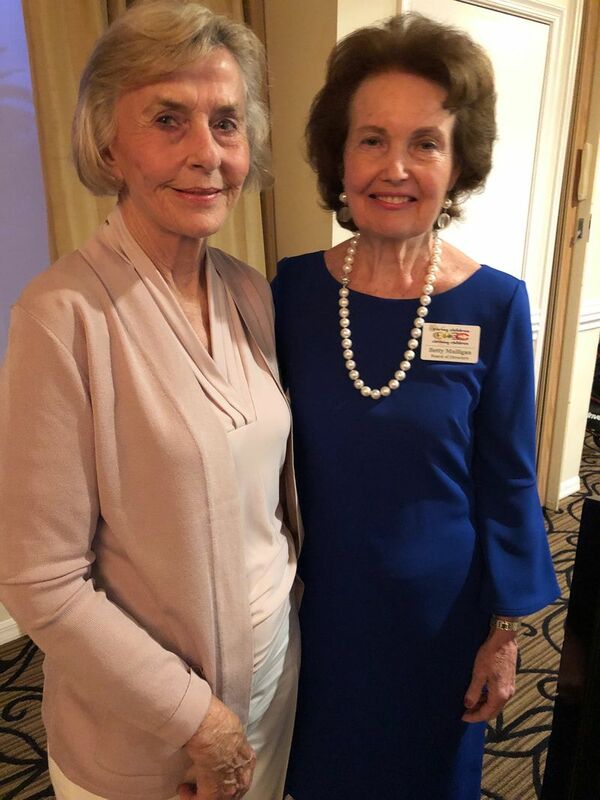 Among those receiving special awards were Betty Lahti and Patty Stewart, both of whom have provided significant financial support for 4Cs’ literacy effort. Betty Mulligan, founder and coordinator of the literacy program, recognized Ms. Lahti and Ms. Stewart for their ongoing support. For more about the award winners, click button below! Betty Lahti accepts a special award for her support of the literacy program from Betty Mulligan. Thank you to our friends at the Villas of Hobe Sound for your generous donation of new clothing and socks and underwear. 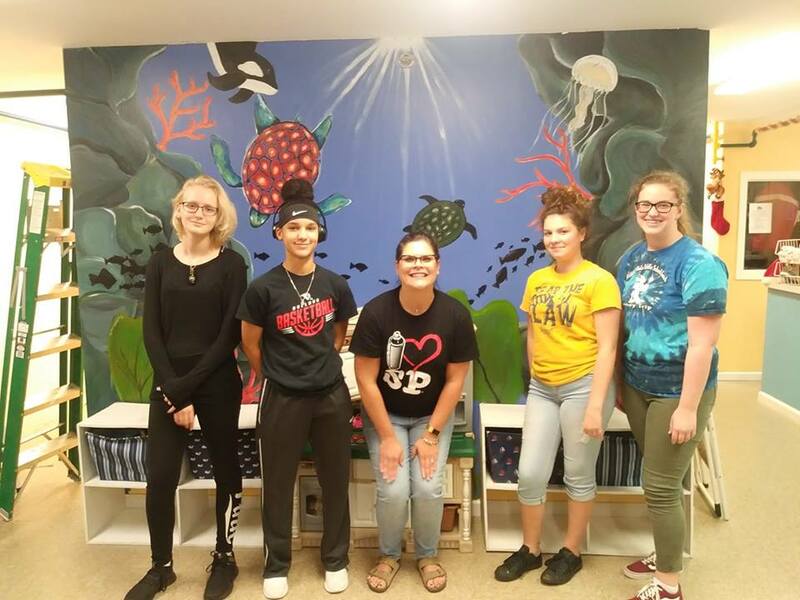 ​Caring Children Clothing Children's literacy tutoring program is in full swing in five Martin County elementary schools. There are 89 volunteer tutors assisting 217 students with reading their skills. In addition, eight tutors are helping 45 students in two schools with math skills. 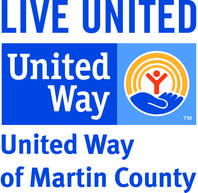 If you have 2-3 hours to spare a week and you'd like to volunteer tutor, contact Gigi Suntum, 772-221-8777. Thank you to Publix Food For All Campaign for their generous donation of $5,000 to help our children get the clothing items that they need. Thank you Wells Fargo for your continued support with unpacking at the 4Cs! We can always count on you! ​Thank you ladies for all of the hours that you volunteer every Friday! Carol Laurent has been volunteering with Caring Children Clothing Children every week since 2001. For the past 17 years, she has spent part of each Wednesday with the agency. Laurent was made aware of the volunteer opportunity at Caring Children Clothing Children when she moved to Palm City years ago. Ever since, she has been consistently volunteering once a week, with the exception of time off for family vacations. We appreciate Carol's assistance and would welcome your help. ​Click below to see the many ways you can volunteer. Store Hours: Wednesdays from 12 noon to 5:00 p.m., except the 1st Wednesday of each month: 12 noon until 7:00 p.m. Friday from 9:00 a.m. until 2:00 p.m. First Saturday of the month: 9:00 a.m. until 1:00 p.m.
Like our Facebook page to keep up with what's happening at 4Cs.